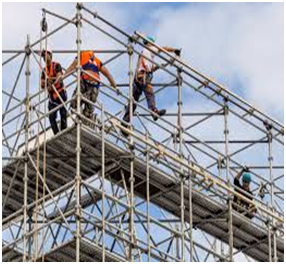 We provide scaffolding in hazardous areas in Refineries, Petrochemical complexes, Fertilizer plants, Power plants, chemical plants, Heavy water plants, Gas processing units for Turnarounds, maintenance jobs, painting jobs and Insulation work pan India. To undertake such challenging jobs, we are equipped with skilled and trained manpower and adequate quantity of scaffolding material. Customised meeting Stringent Client Specifications. Availability of skilled, trained & experienced scaffolders with qualified trained experience engineers/ inspectors for job execution. Our inspectors inspect the Scaffolding thoroughly and initiate appropriate timely corrective action with Quality Assurance before offering to Client. 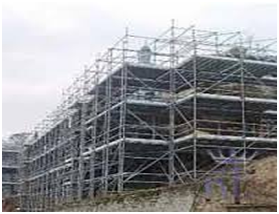 We follow the client’s scaffolding check list & approval before use of scaffolding. Corrective actions are taken as per Clients’ recommendation.